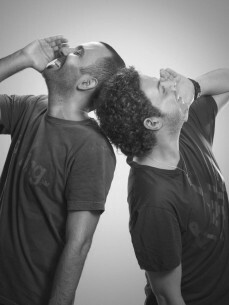 Vini Vici is the brand new project of Aviram Saharai & Matan Kadosh, both well known & experienced electronic music producers for over a decade. The concept of 'Vini Vici' was formed as an attempt by the boys to express their love for the old school sound paired with their progressive ideas. It's no surprise ‘Beatport’ places them as the #3 Top Artist of 2014. 2015 was a huge step forward for the boys with the release of their debut album ‘Vini Vici - Future Classics’, Hitting Beatport Main Chart #2 (psytrance #1) a place where very few psy trance artists stand before followed by ‘psyshop’ #1 and ‘TrackItDown’ #1 spots while legendary ‘Infected Mushroom’ named them as the best psy trance upcoming artists at the moment and ‘Armin Van Buuren’ edited their already classic tune ‘The Tribe’ and featured them at is legendary ‘ASOT’ radio show for the 5th time. The boys ranked by ‘Beatport’ as #1 ‘PsyTrance’ Artist and ‘Best Selling Track’ of 2015 leading into historical 2016 when ‘Vini Vici’ Remix of ‘Hilight Tribe - Free Tibet’ hitting the #2 spot at ‘Beatport’ MAIN! chart and becoming the first psytrance track ever entered the ‘Beatport’ main ‘Top 10’. The invitation for few of the most prestigious electronic music events world wide didn’t late to come and 2016 looks promising then ever with ‘A State Of Trance Festival’ Amsterdam, ‘Tomorrowland’ Belgium, ‘Vuuv’ Germany, ‘Sunburn’ Goa, Dreamstate U.S.A, ‘Luminosity’ Netherland and many many more at their agenda.